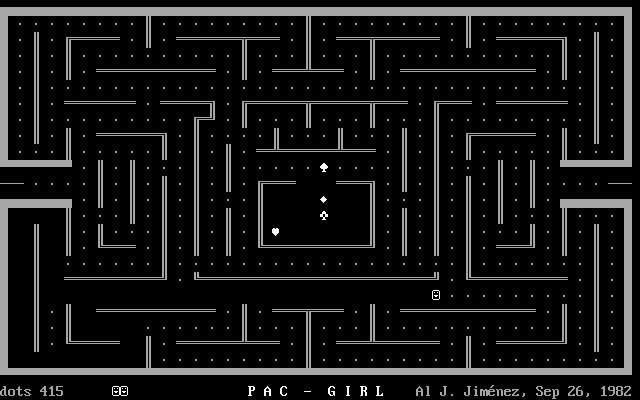 Pac-girl is an old maze action game released in 1982 by Magicom Multimedia and developed by Magicom Multimedia. 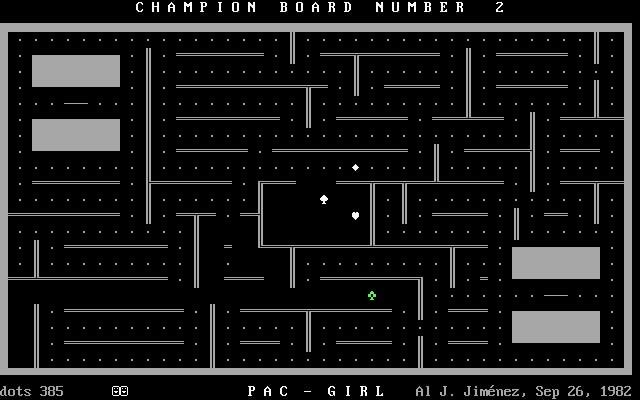 Pac-girl is currently abandonware and runs on DOS. It's available for download. I loved this game when I was I child. Unfortunately its operating speed is coupled to the system it is working on. 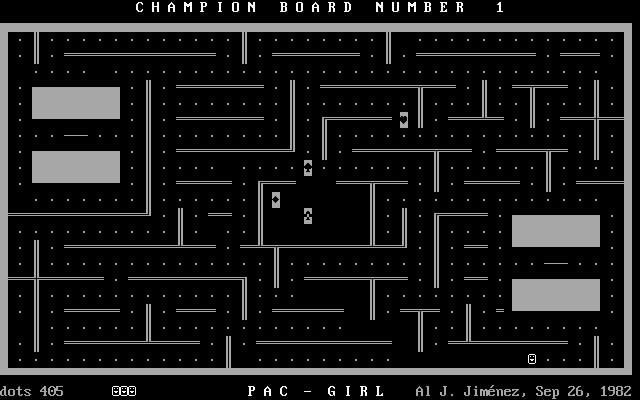 That means even the slowest mode nowadays runs as if it was the fastest and in the fastest mode you can't even see what happens. 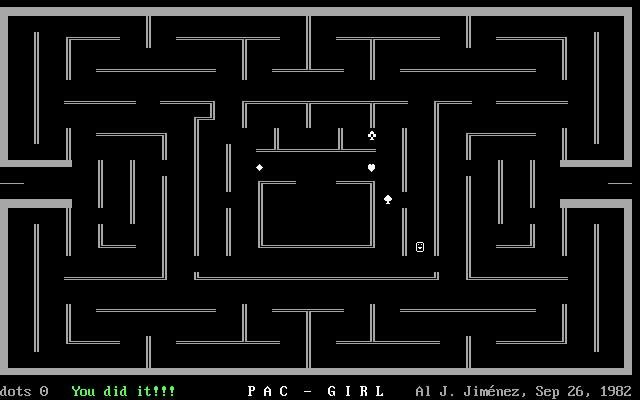 Tell others what you think about Pac-girl: did you play it? Did you like it or hate it? 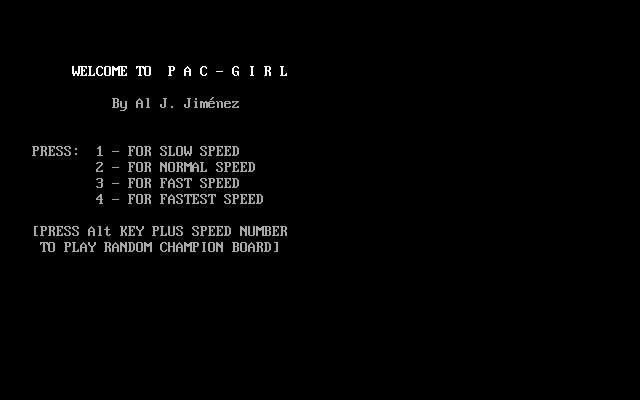 If you have problems running Pac-girl, please read the F.A.Q. first. Your e-mail will NEVER be used for spam.